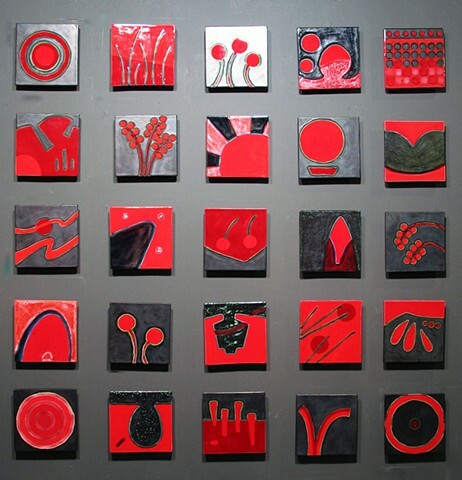 Original ceramic tile mural by Jason Messinger, composed of 8"x8" hand-cast ceramic tiles, with metallic and assorted ceramic glazes. Work is modular, can be arranged in any order or sequence or configuration. Comes with hidden frame backers and matching wall cleats for ease in hanging. Shipping in continental US included. Dimensions variable- shown 56" x 56" x 1.5"